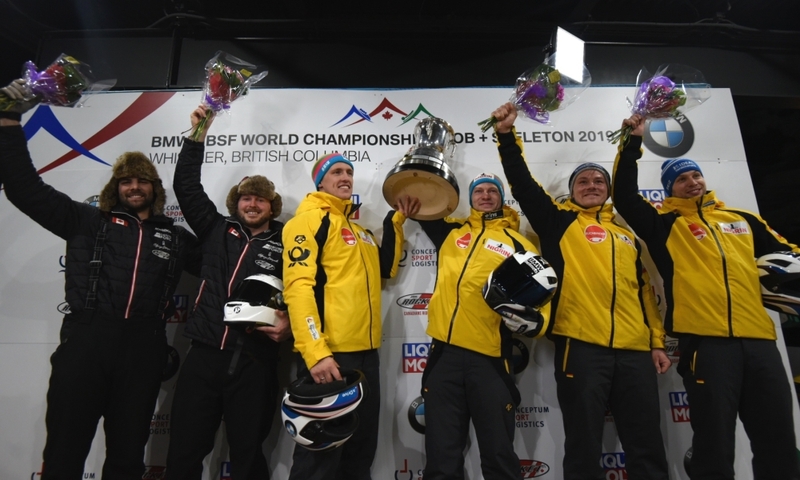 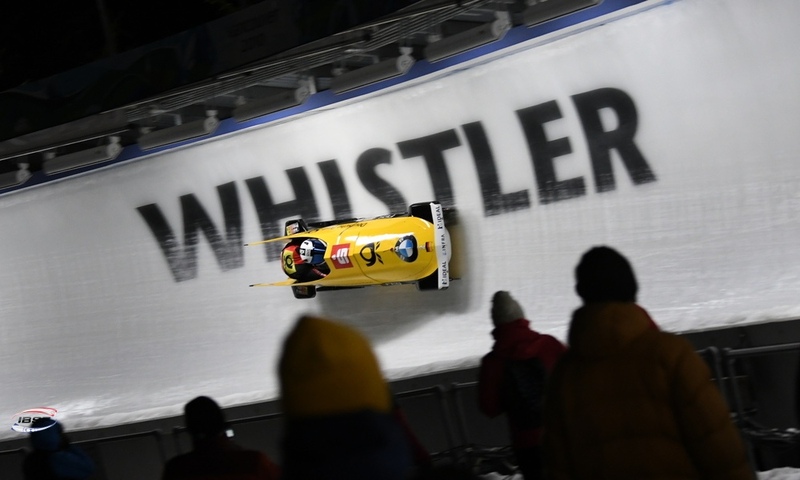 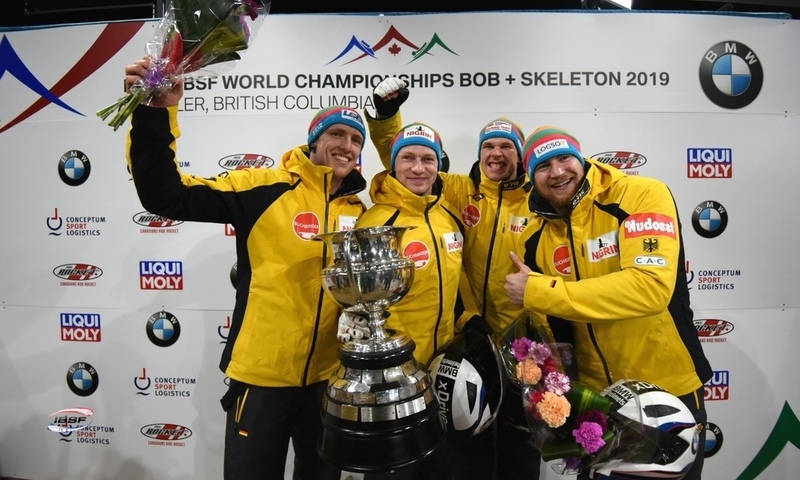 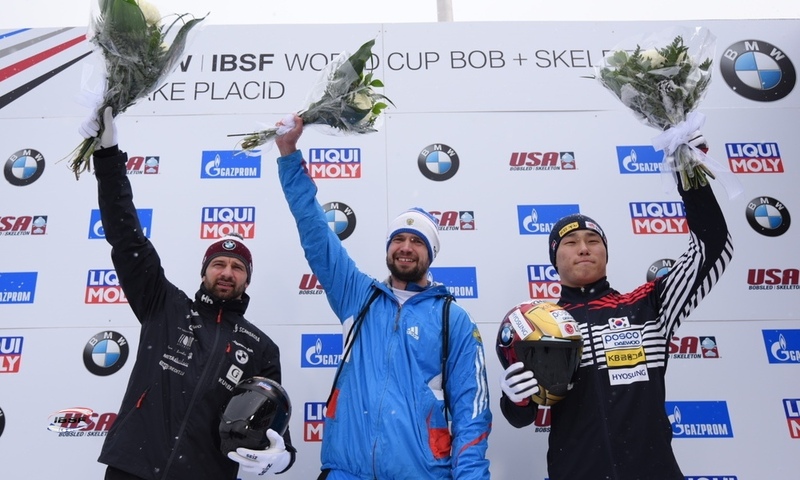 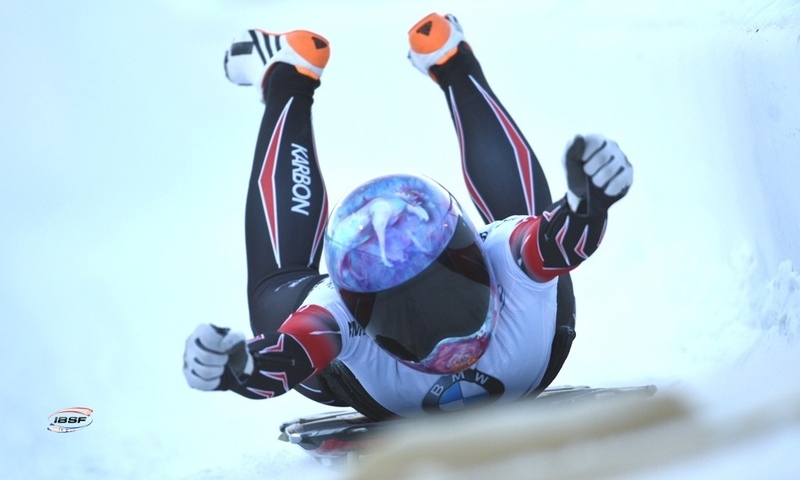 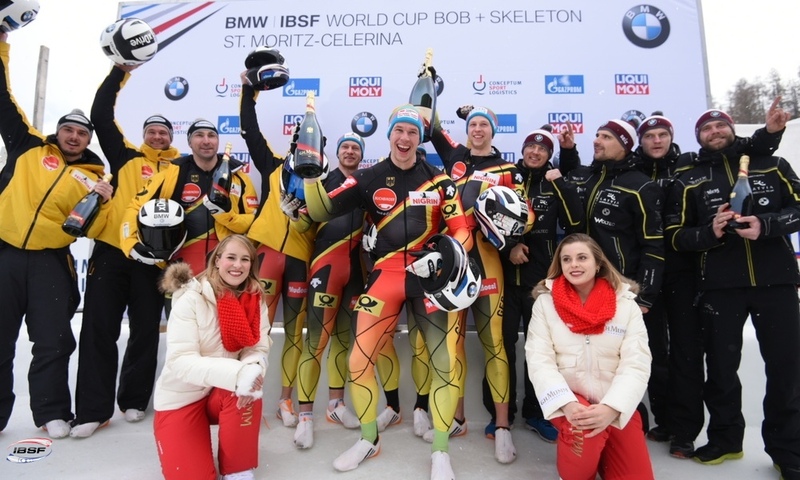 St. Moritz (RWH): At the BMW IBSF World Cup in St. Moritz, Junior World Champion Johannes Lochner of Germany secured his first ever World Cup victory in the two-man bobsleigh. 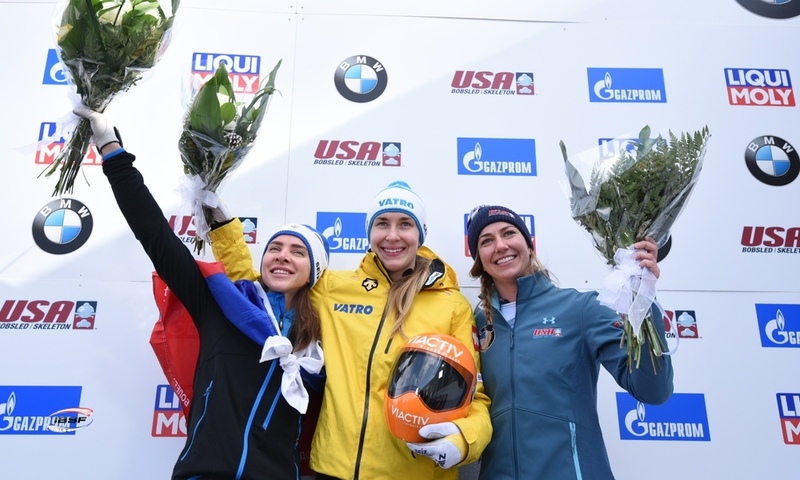 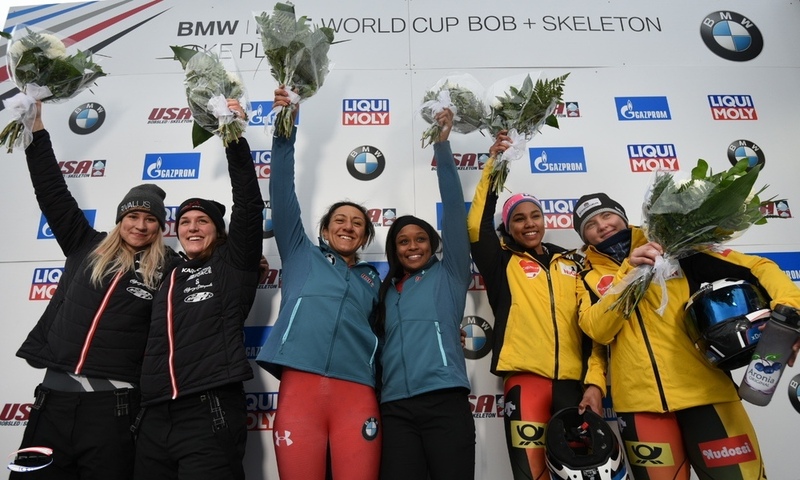 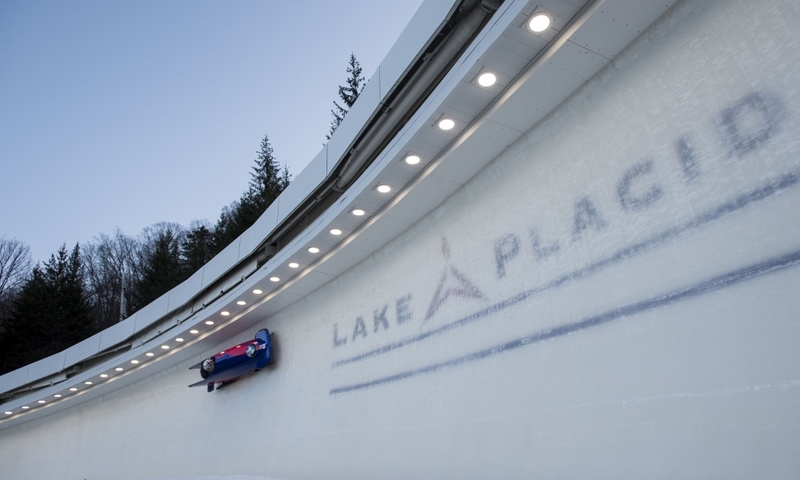 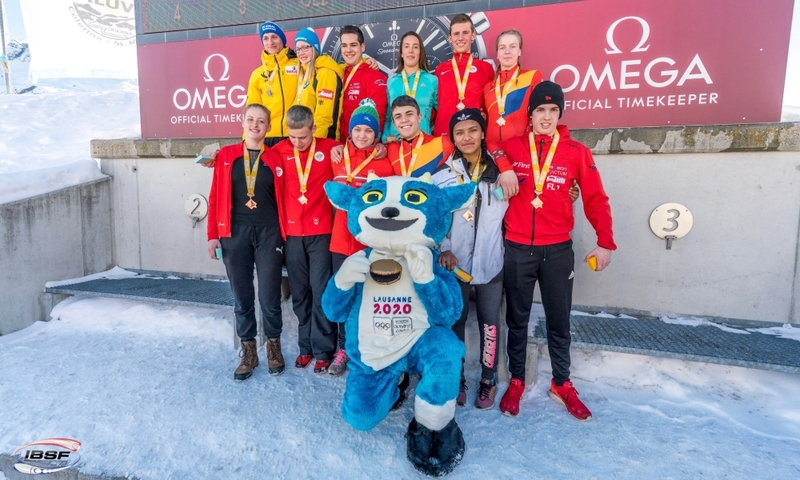 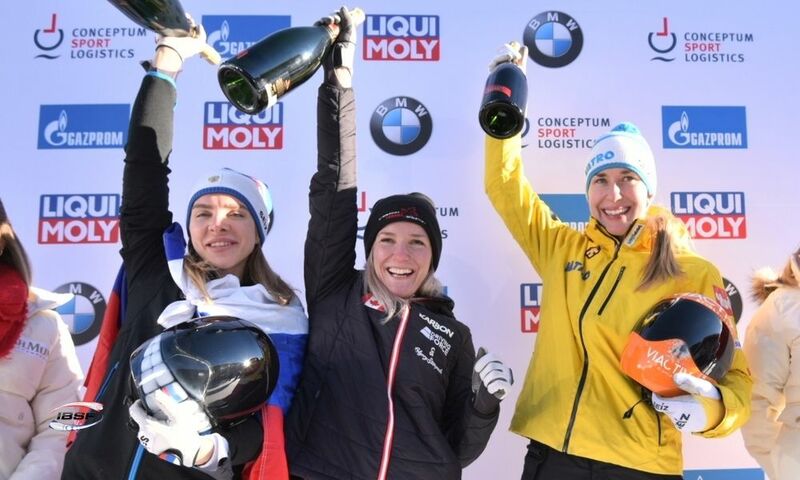 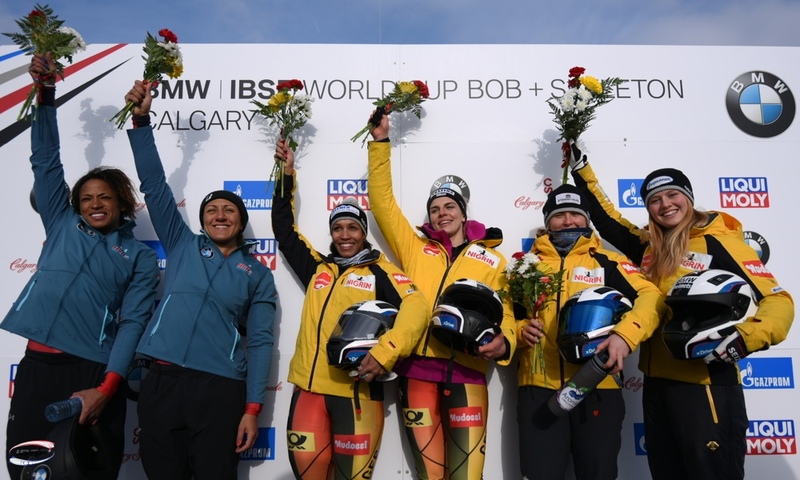 The runner-up from the 2015 World Championships finished ahead of the rest of the pack for the first time on the Olympia Bobrun St. Moritz-Celerina. 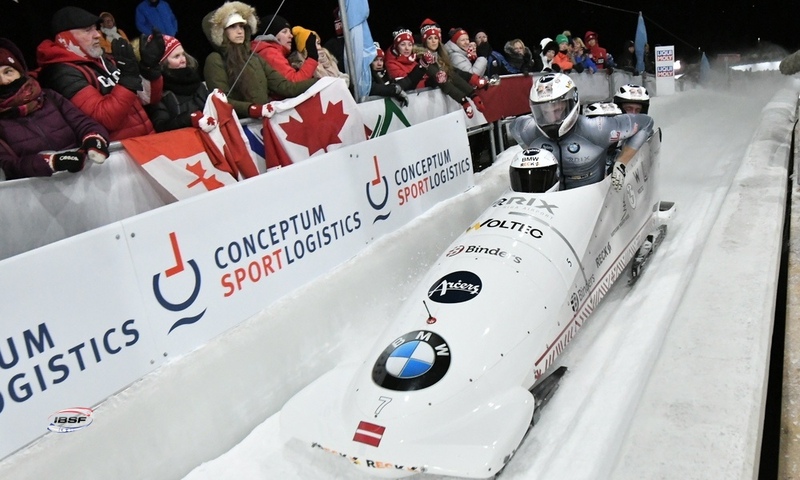 At the end of the two runs, Johannes Lochner/Christian Rasp managed to take a 0.28-second lead over their team mates Francesco Friedrich/Martin Grothkopp (GER). 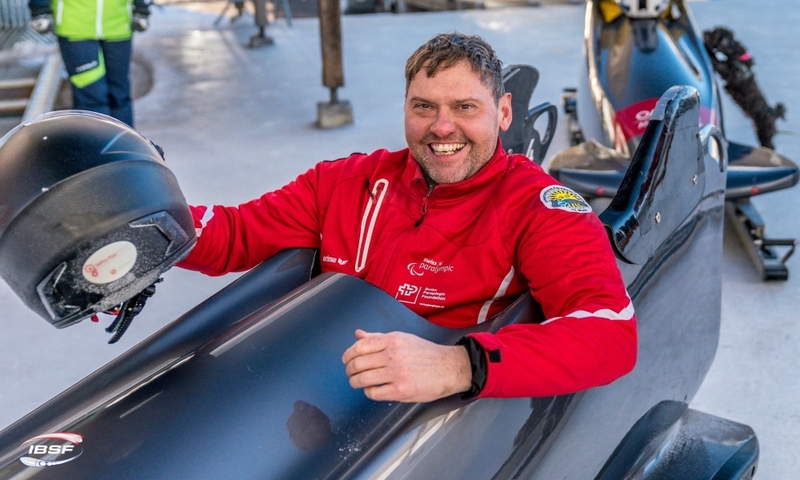 Back in 2013, Friedrich won the first of his three World Championship titles in the two-man bobsleigh on the track in St. Moritz. 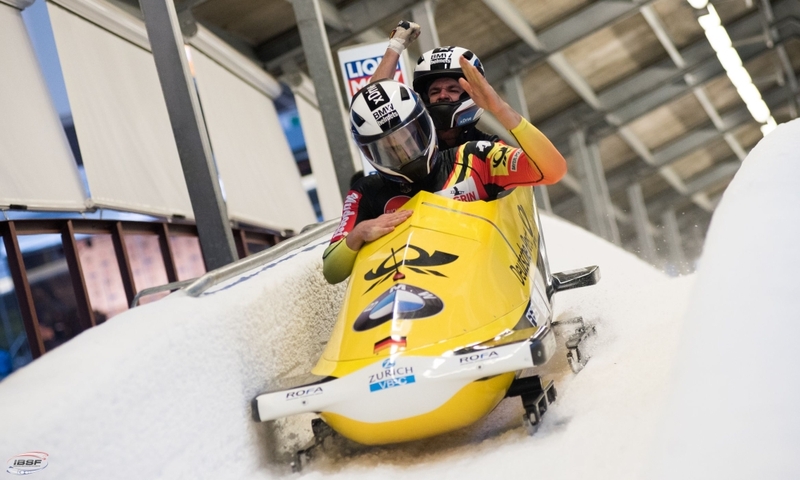 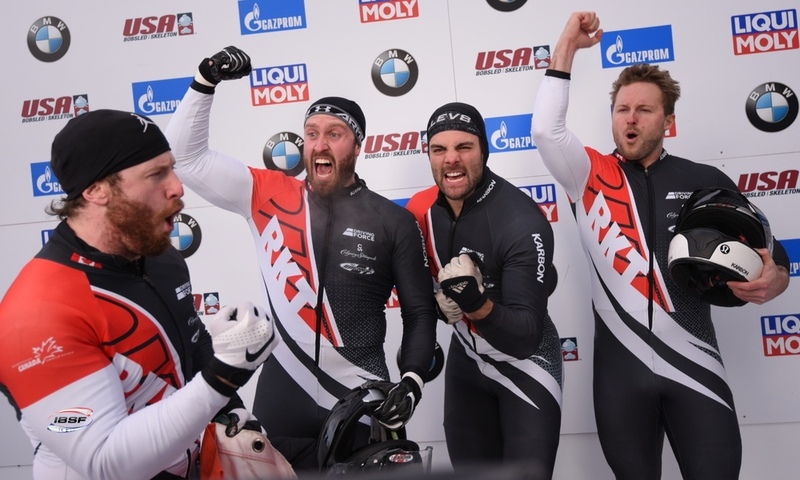 After securing the third best time in the second run, Steven Holcomb/Carlo Valdes of the USA (0.67 seconds behind) slid their way from seventh place to take third. 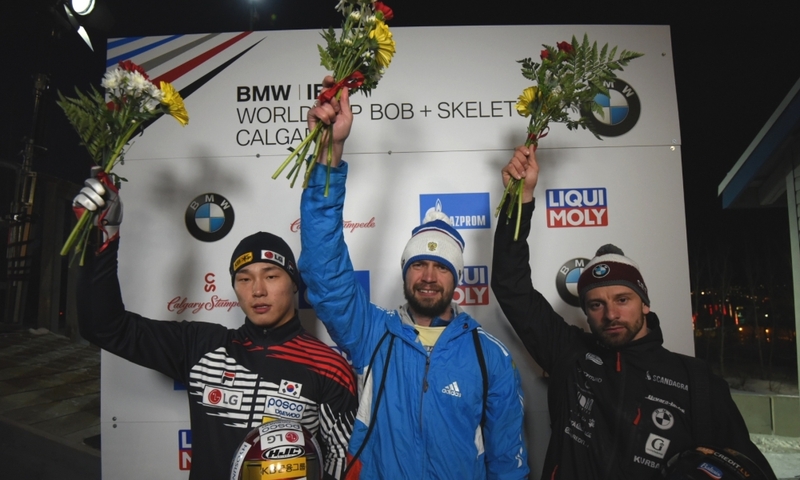 Oskars Melbardis of Latvia, the overall winner of the 2015 World Cup, finished in sixth in St. Moritz for his best result of the season. 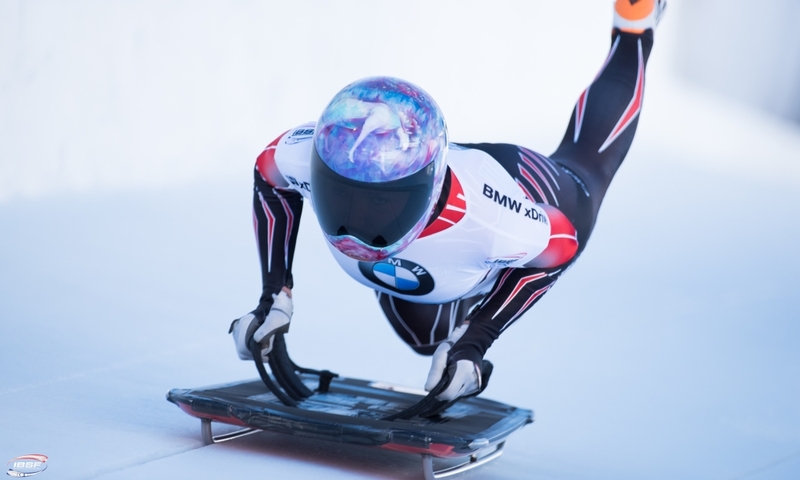 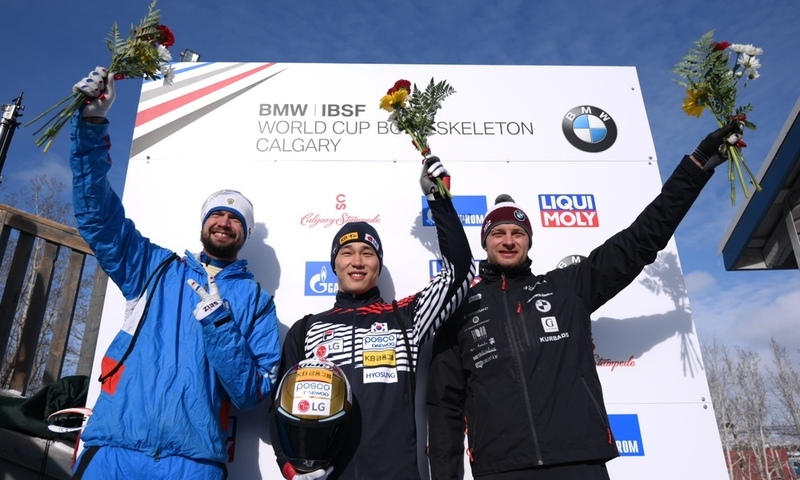 Polish pilot Mateusz Luty achieved his best result in BMW IBSF World Cup by far after finishing eleventh in St. Moritz with brakeman Krzysztof Tylkowski.